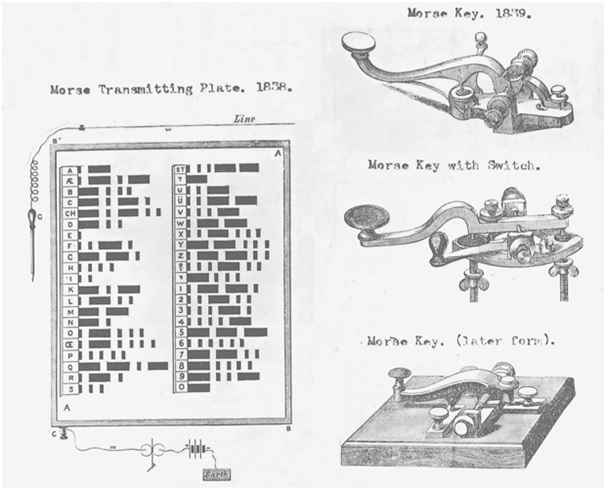 How Well Do You Know Morse Code? It was one of those click-bait headings I found irresistible, so I clicked. 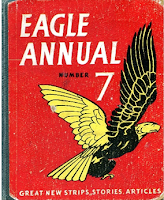 Page 1470 of Arthur Mee’s Children’s Encyclopedia falls open automatically as soon as you pick up Volume 2, a page opened so many times fifty to sixty years ago. Opposite is a picture of how the telegram we might have handed in at the post office forty years before that would have been sent by Morse Code to a friend a hundred miles away. 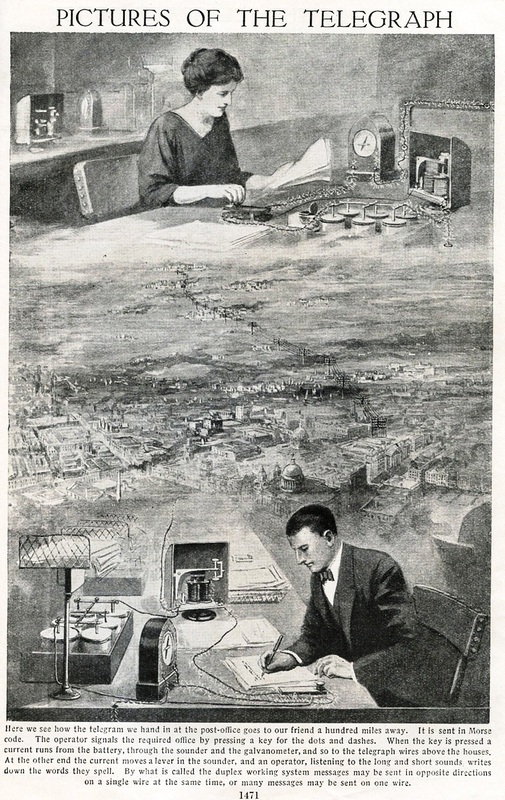 On the following pages are more photographs of the incredible electronic equipment of the day: Wonders of the Telegraph Office, How a Picture is Telegraphed, The Wonder Machine That Brings The News. They still captured your imagination as late as the nineteen-sixties. 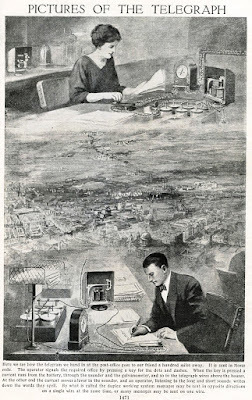 But it was the table of Morse Code on page 1470 I always turned to. It shows only the letters, not the number or punctuation codes, but it was enough to get started. Terry Hardy lived across the road. I could see his bedroom window from my bedroom window. Equipped with flashlights, we could send each other messages at night in Morse Code, a short flash for a dot, a long one for a dash, just like the battleships in Sink the Bismark. 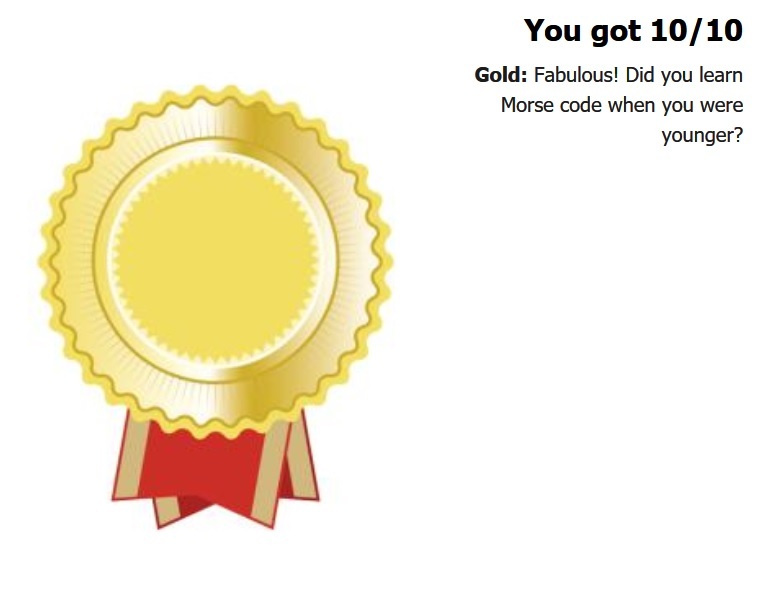 The problem was, of course, that it takes so long to become proficient in Morse Code we couldn’t do it. Apart from having nothing to talk about. We were never able to send messages from one end of the street to the other, or get our Cubs Signaller Badges. You have to take your hats off to the Monty Python cast learning to perform Gunfight at the O.K. Corral in Morse Code, not to mention Julius Caesar on an Aldis Lamp and Wuthering Heights in Semaphor. Kids don’t know they’re born these days with their Snapchat and Instagram. On clicking the link I was told that Samuel Morse was born on this day (April 27th) in 1791, and that he patented his telegraph system in 1838 and worked with Alfred Vail to create the Morse Code to translate letters into long and short pulses and back again. So on to the quiz. 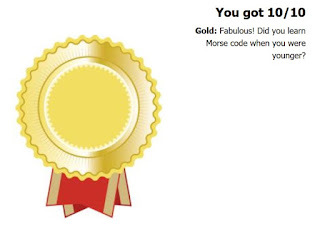 How well do you know your dots and dashes? Pretty well, it seems. I got them all right. Our childhoods weren’t entirely wasted. I sometimes think that a book, like a good marriage, should make you a better person. My problem with Bill Bryson’s books is that I’m not convinced they do. That is not to say that At Home is not entertaining. 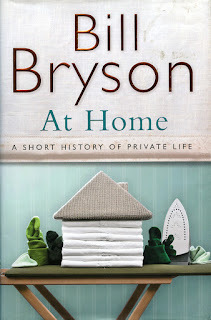 Everything gets the familiar Bryson treatment, highlighting the strange, unusual and eccentric with the typical Bryson humour, but until the very last of its 483 pages I was left wondering why I had bothered. 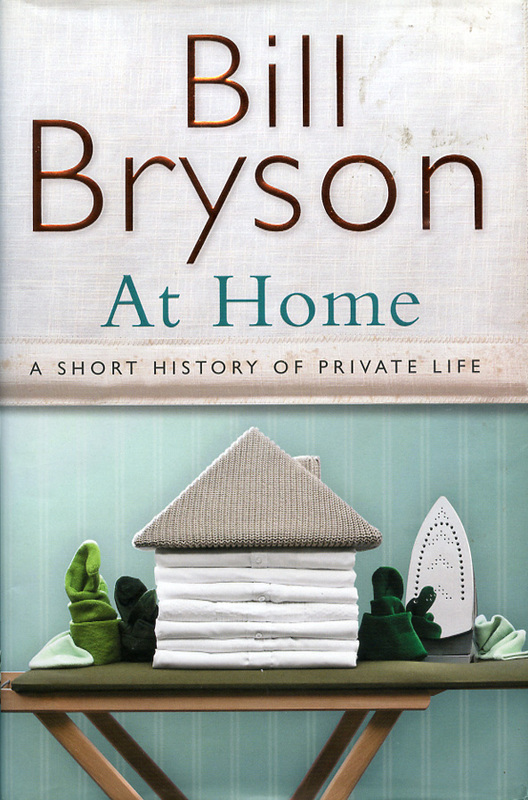 The book adopts the floor plan of Bryson’s house at the time, a nineteenth century Norfolk rectory, to structure a collection of topics loosely based upon the history of private life in the home. In other words, he uses it as an excuse to write about almost any subject that takes his fancy. Thus, the garden leads him to the subject of landscape design; the study allows him to talk about pests and mouse traps. There is a whole chapter on the fusebox which takes in candles, oil lamps and gas lights as well as electricity. The passage between rooms is associated with the telephone. On and on he goes through the kitchen, drawing room, dining room and so on, taking in ice, scurvy, the Eiffel Tower and a plethora of other matters, and that’s all before he goes upstairs. It is impossible to predict where his attention will wander next. The chapter on The Bedroom, for example, quickly gets into the gruesome details of syphilis, which is fair enough I suppose, but from there it progresses on to other ghastly ways in which people expired in Victorian times, and then to a macabre account of burial and cremation. Only right at the end of the chapter does it clumsily get back on-topic by mentioning that cremation was legalized in Britain in 1902, just a few years before the original owner of the house died, but that the Reverend Marsham chose not to take that option. The research is impressive: there is a 26-page select bibliography and a page-by-page online supplement to check facts or carry out further reading, almost like a Ph.D. thesis. 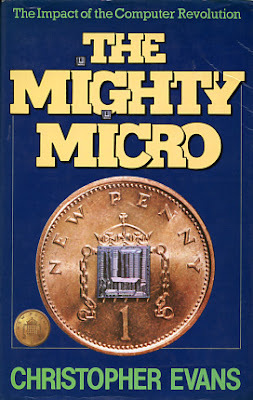 Would it ever have found a publisher had it been by a new author and not Bill Bryson? It’s a pleasurable enough read but normally you would only pick up a book about social history if you had a specific interest in the subject. It is indeed like a popular, easy-to-digest encyclopaedia: full of interesting and amusing stuff but you rarely come away with any great life-affirming emotion, insight or inspiration. Near the beginning of At Home there is a photograph of Vere Gordon Childe who excavated the five-thousand year old village of Skara Brae in the Orkneys in 1927. He is standing beside one of the stone dwellings. In the text Bryson dwells upon Childe’s appearance, quoting contemporaries who described him as tall, ungainly, eccentric in dress with a curious and alarming persona and a face so ugly it was painful to look at. Actually, when I first saw the picture, my first impression was that it was of Bill Bryson himself. Would I have said such a mean thing if the book had made me better person? Today it takes the average citizen of Tanzania almost a year to produce the same volume of carbon emissions as is effortlessly generated every two and a half days by a European, or every twenty-eight hours by an American. We ... live as we do because we use resources at hundreds of times the rate of most of the planet's other citizens. One day – and don’t expect it to be a distant day – many of those six billion or so less well off people are bound to demand what we have ... and that will require more resources than this planet can easily, or even conceivably, yield. The greatest possibly irony would be if in our endless quest to fill our lives with comfort and happiness we created a world that had neither. Now that did make me stop and think. I suspect it won’t be the last Bryson book I will read: Thunderbolt Kid looks promising. The plural of VAX is VAXen. I read it in a VAX/VMS computer manual in the nineteen-eighties. 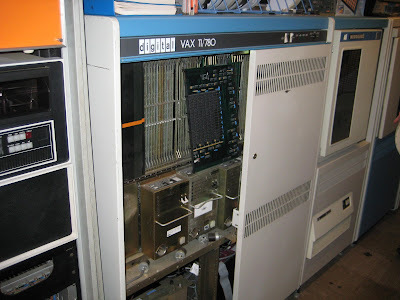 VAX (Virtual Address Extension) computers were made by DEC (Digital Equipment Corporation) and ran the VMS (Virtual Memory System) operating system. 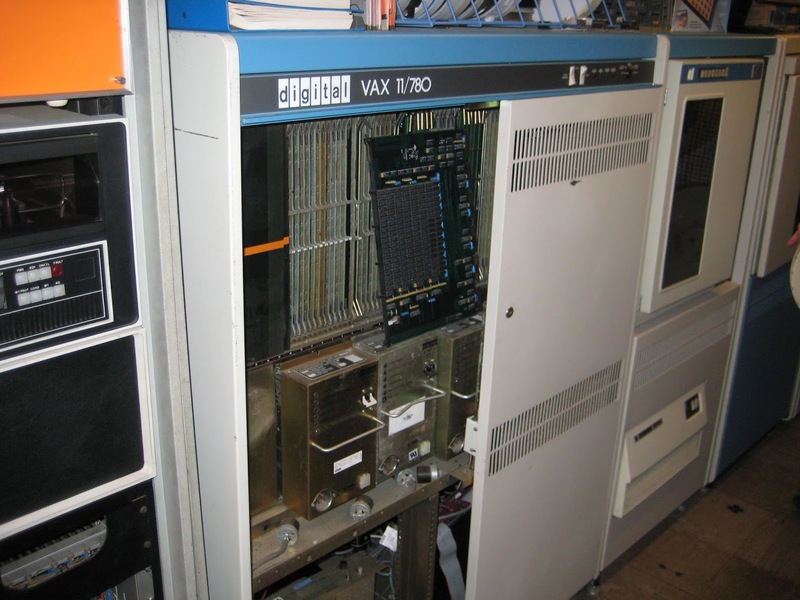 Most universities had them: first the VAX-11/780s and later the VAX 8600s. They usually had several connected in clusters – clusters of VAXen. So it was wonderful to see some of these iconic machines again in Jim Austin’s Computer Collection at Fimber near Fridaythorpe in the East Riding. By “again” I really mean for the first time. Hardly anyone got near them in the nineteen-eighties. The privileged might be allowed to look through the glass of their air-conditioned rooms, but ‘users’ were never allowed in. 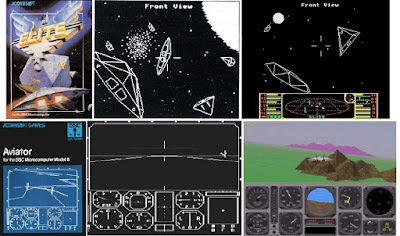 Their only contact with the computers was through remote ‘dumb terminals’. At Fimber you can touch the machines and even open their cabinets and take the boards out. Of course, they are not switched on now. I returned full of enthusiasm, thinking of the blog posts I could write. My wife was not impressed. "VAXen!" My wife ran out of patience. Now there’s another plural to think about. Which of the perfectly-tailored experiences, we wondered, would be the most perfectly-tailored for a two year old? We tried to think back to when we were two. What would we have enjoyed? Gin tasting? Golf tuition? Perhaps Aston Martin and Ferrari thrills? The organic chocolate making workshop was clearly a strong contender, but in the end we went for either the llama trekking or the flying lesson. We marked them as suggestions and left it for grandma and the parents to make the purchase. 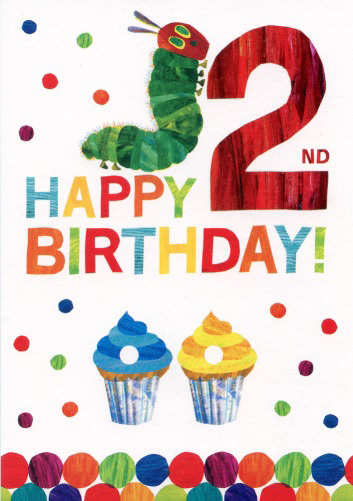 It was hard to imagine being two. 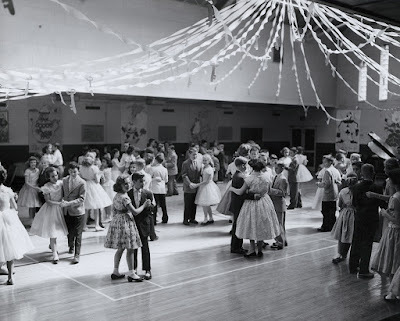 In fact, psychologists tell us we remember very little from that age. So how much of a day to remember would it be? 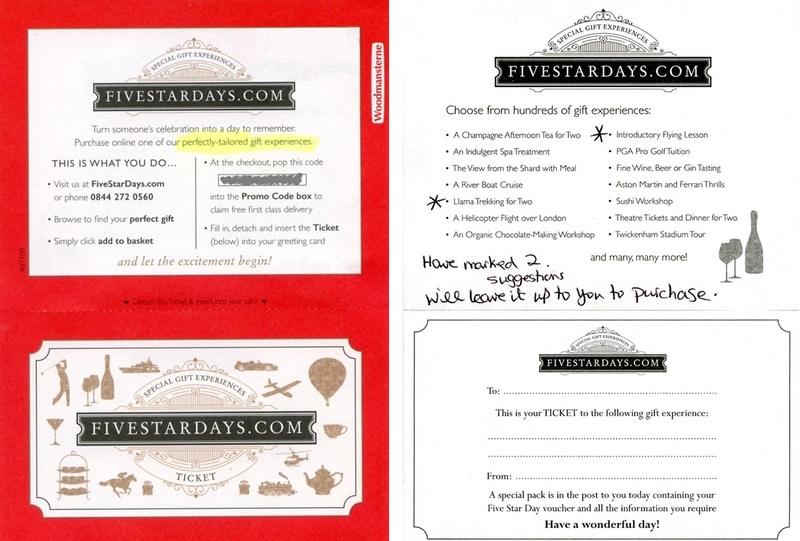 It might be better just to give her the promo card to tear the perforations and colour in. In our tough new carpenters’ aprons – loops round necks, strings tied at the back, two deep pockets at the front – we really looked the biz. The room smelt of sandpaper, sawdust and lacquer, and housed around eight or so workbenches: the kind with shoulders at the sides, tool cupboards underneath and a vice at each corner. It was where things got made, like model boats. Well, mine vaguely resembled a boat. I think we had to make them because it involved a variety of tools and techniques, rather than for any functional reason. 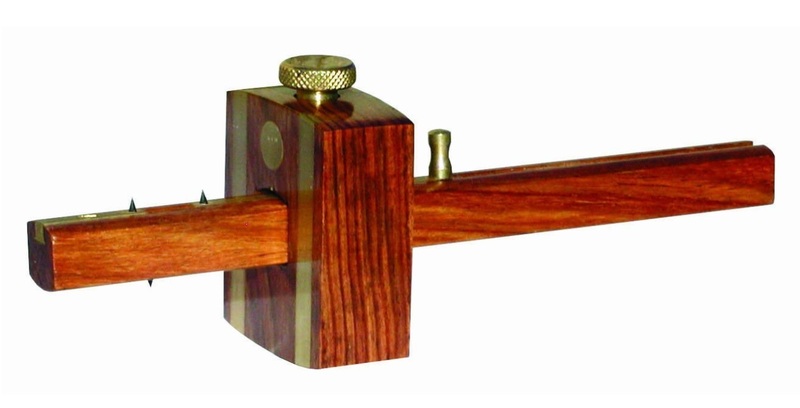 With that pencil-behind-ear air of can-do competence that only real woodworkers possess, Tacky Illingworth showed us how to shape a piece of wood into a hull by pointing the bow and rounding the stern, how to chisel out a couple of recesses in the top to leave a bridge, fo’c’s’le and fore and aft decks, and how to attach dowel masts and a funnel, simpler but not dissimilar to the model in the picture. Mine was awful: irregular, lob-sided, gouge marks and splinters where it should have been flush-flat smooth. At the end of the year I didn’t bother to take it home. I did learn to love the beautiful, age-old tools though: the tenon saw with its stiffened back, the smoothing plane, the spokeshave, the carpentry square, the brace and bit, the mallet and woodworkers’ chisels, and best of all, the marking gauge. Unless you knew, how could you ever guess what a marking gauge is for? Why does it have a sliding block with a locking screw? What are the spikes for? Why two on one side and one on the other, and why are they moveable? A mystery! I’ve got my own now. I used it to mark how much to plane off the bottom of a door when we got a new carpet. After spending the following year in Metalwork, we were allowed to choose which to continue. I returned to the relative peace and safety of the woodwork shop, the lesser of the two evils. We had to decide upon a project, so I went for the ubiquitous book rack in its simplest form – a flat base with two vertical ends and a couple of pieces of dowel for feet. I selected a beautiful plank of mahogany which my parents had to buy, and began to cut out what were supposed to be stopped (half-blind) dovetail joints – visible underneath but not at the ends. It was far too ambitious. At the end of the year it laid unfinished on a shelf in Tacky Illingworth’s stock room, wrapped in a soft cloth. His school report flattered me. That could have been the end of the story because there were no crafts in subsequent years when ‘O’ levels took priority, but an unexpected change of policy allowed games-averse weaklings to escape to art or crafts instead. Metalwork was no longer on offer. It had been replaced by pottery, which was tempting, but for some bizarre masochistic reason I went for woodwork again. Maybe I refused to be defeated. Tacky Illingworth proudly retrieved my unfinished book rack from his stock room, still in its protective cloth from eighteen months earlier. I even finished the thing. I wrote the date on the bottom: April 1966. It’s a real mess of course. At one end I broke through the wall of the ‘pin’ part of the dovetail and had to stick it back in, and the joints were so loose that even glue could not hold them together. Tacky Illingworth reluctantly allowed me to fix it with screws. It has been on my desk for over fifty years. I wondered if I could find it hiding in old photographs, and yes, here it is in various Leeds and Hull corners of the nineteen-seventies. It still holds one of the same books. If I were to make it again today, in the same way with hand-tools not machines, it might not be perfect but I like to think it would be better. At the very least I would hope not break the ends. It probably comes down to patience, and perhaps a bit of care and confidence as well. As someone once said, education is wasted on the young.